Thoughts: I’m only 20-years-old so I haven’t dabbled much into eye care products yet, but since this was in my box I gave it a try. I used it consecutively for about two weeks before I lost track. This happens to me quite often with any skincare routine I adopt. Anyway, the consistency is gel-like. It’s an orange gel that blends out to be quite tacky to the touch. It’s so tacky that it feels like a primer—which is odd considering it’s an eye de-puffing gel. Despite the odd color and texture, it feels good under the eyes. It’s very hydrating. It’s cold and feels almost a little bit like water. The product claims to de-puff your under-eyes, reduce the appearance of dark circles, and protect against pollutants. I don’t have much darkness under my eyes, but I can see a difference in the appearance of the area where my "dark circles" would be. My under eyes appear to be a lot brighter and have a somewhat smoother appearance when using this product. If my eyes happened to be puffy before, they weren’t while using this product. Overall, I would recommend this just because it did make my under eyes appear to be "brighter." Thoughts: Before I received this month's BoxyCharm, I had never even heard of Crown Brush. Maybe once, but I didn't know they had their own makeup. Let me tell you how quickly this palette turned into my everyday go-to palette. The palette has ten warm toned shades (hence "fuego")—four shimmers and six mattes. Every shade is easy to blend (even the darkest ones), and that’s saying a lot. Usually darker shades are harder to blend out. The only problem I have with this palette is that the shades are extremely pigmented... when swatched. Swatches are usually a lot different than actual application. When you apply these shadows to the lid, they definitely need to be built up (especially the mattes). If you refer to my pictures, the top row is the more pinky-toned row and the bottom is the more brown-toned row. A couple of the shimmers (the pink ones) are a little chunky, but that’s because of how pigmented they are. They do not come out that way on the lid. 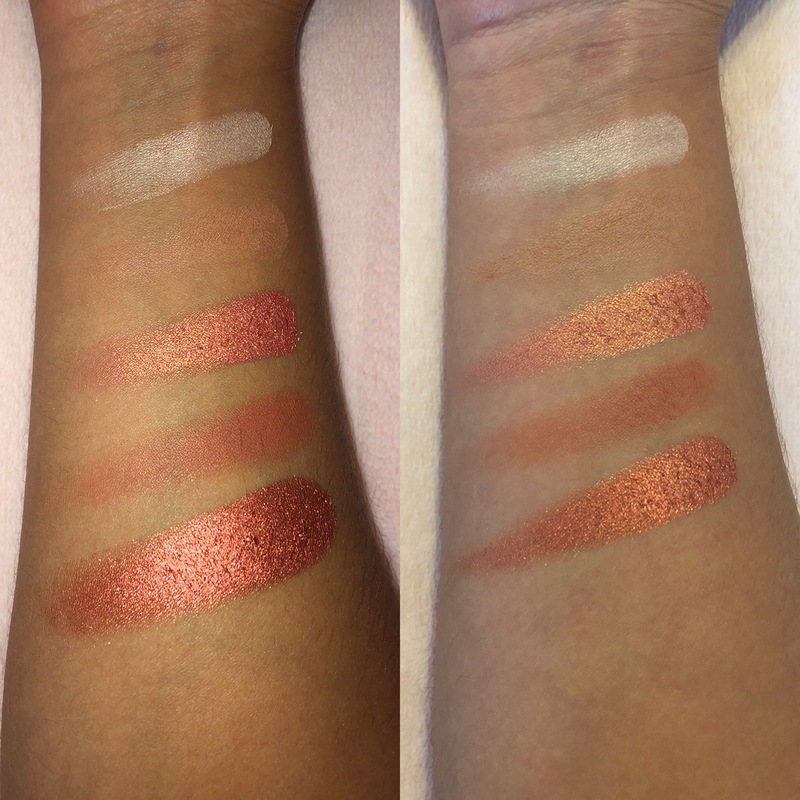 There is also one brown (refer to the second color in on the top row of the palette) that is not that pigmented even when swatched. Don’t let this fool you because it is a great transition/crease shade! You could definitely get a couple smokey looks for this, but it’s not so much a palette for that "going out" type of look. The texture of the shadows is pretty consistent throughout despite the different finishes. They are all super soft and velvety. Thoughts: 10/10 do not recommend spending $24 on this mascara. I don’t even recommend buying this mascara. I’ve always wanted to try Wander Beauty products so I was very excited to see this in the box, but extremely disappointed in the way this mascara performed. The mascara claims that it will "bring your lashes to new heights (literally)" at the same time that it volumizes, lengthens, strengthens, and conditions. I don’t know about you, but that seems like a lot of claims to have to live up to. So I’m thinking this is gonna be some type of magic mascara if it’s gonna do all that. Well, I was wrong. It was so wet that it actually weighed down my lashes (literally). The wetness also made it hard for the product to stick to my lashes, which made it hard for the product to do anything it said it was going to do. I expect mascara to enhance my lashes, not coat them in wet black product. Unfortunately, I had to pass this on to a friend. Thoughts: Woop woop. We have here another product that turned into an everyday favorite for me. This blush is one of the most pigmented blushes I have ever used in my life. I am NOT kidding. I’m not usually one to brag about a blush, but this baby has color. I wouldn’t necessarily say it’s a "luminous" color, but definitely silky. It’s so soft that I honestly don't understand how it’s not chalky. The blush claims to have argan oil infused in it so that might explain why it feels so soft to the touch. You literally only have to tap your brush in it once... lightly! The payoff you get is so opaque (for a blush, of course). The color I received in my box is a very peachy color, but more on the orange toned side. It’s called Desert Rose. I will definitely be buying more of these blushes and looking more into this brand! Thoughts: Unfortunately, this product is a little odd to me. I can’t give a true opinion on it because I didn't use it yet. It just doesn’t look like anything worth $26 to me… It looks like it may work for those "no makeup makeup" days, but it’s a very weird concept. The brush comes off the top, and the product is in the bottom. It’s sort of hard to get your brush in the product and you can’t really tell how much product you’re picking up. On the bright side, the formula seems to be quite nice. The color is a nice taupe color and doesn’t budge. It took a little bit of scrubbing to get it off my arm. I may try this out and give an update in the future, but for now it’s not my thing. Disclaimer: These products were purchased with my own money (through the Boxycharm subscription box). The performance of each product is subject to my personal skin type. Each product may work differently for everyone.